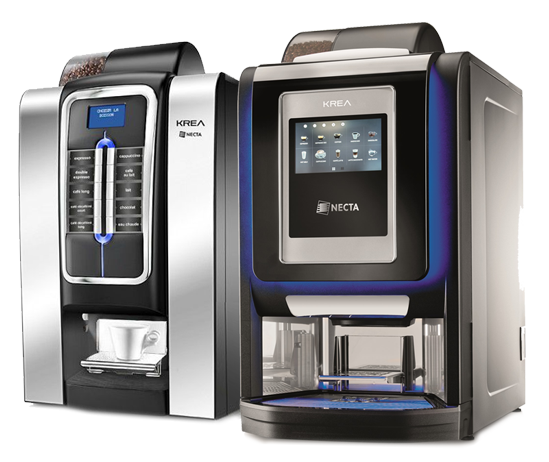 Both the Krea Touch and Krea machines are among the latest table top coffee machine from N & W Global Vending. It is a relatively new addition to our range and has been very well received by almost all of our customers that have taken one. 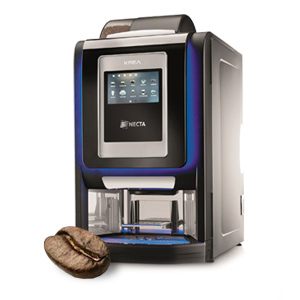 It is an automatic bean to cup machine, meaning that all drinks are produced with just a touch of a button. A full range of coffees (including cappuccino, latte, americano, espresso and café mocha) are available as well as hot chocolate, milky chocolate and hot water. 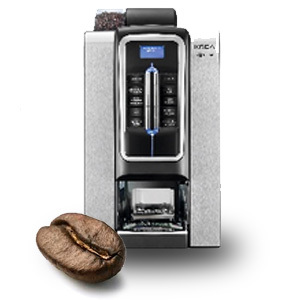 The new Z4000 coffee brewer featured in the Krea produces a great coffee with its improved extraction. A soluble coffee canister also allows for a variety of decaffeinated options to be dispensed. The Krea uses a milk substitute rather than fresh milk in order to create its milk based drinks. This makes it far easier to look after than a bean to cup machine using fresh milk. We always recommend Milfresh Gold milk granules. Milfresh Gold is made with 100% milk enabling the Krea to produce a cappuccino that is as close as makes no difference in quality to one made using fresh milk. As with all bean to cup coffee equipment the Krea will need to be fitted with a good quality water filter in order to minimize damage from the hard water in the London area. it will also require a level of daily and weekly cleaning so if you are thinking of using it in an office environment some thought needs to be taken deciding who will have responsibility for cleaning it. London Coffee Machines can supply the Krea & Krea Touch across London and the surrounding areas such as High Wycombe, Aylesbury and Slough. We have a fully trained team of technicians who can offer full technical support on any of the equipment that we supply and our in house delivery team can offer speedy and efficient product delivery of everything that you may require for use in the Krea. Our in-house team of technicians are on hand to solve any problems that you may have with your Krea Bean to cup Coffee Machine, or any of our other other rental or Lease coffee machines.